Definitely one of my favorites! I had the chance to see them in their natural settings in Santa Ana and Magdalena de Kino, Sonora. The flowering is just gorgeous and the spination is much more dense of course, specially by the radial ones, which cover almost the entire plant, in part because the tubercles tend to grow much more closer. Great photos! 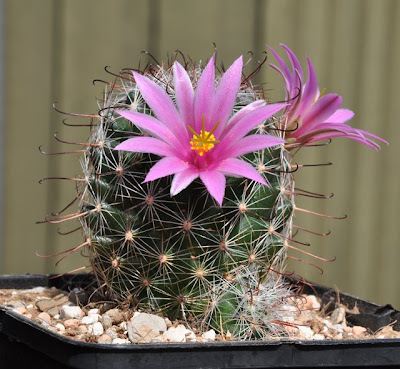 One of mine is in flower right now as well. Hopefully it stays a little longer so that I can share some photos. 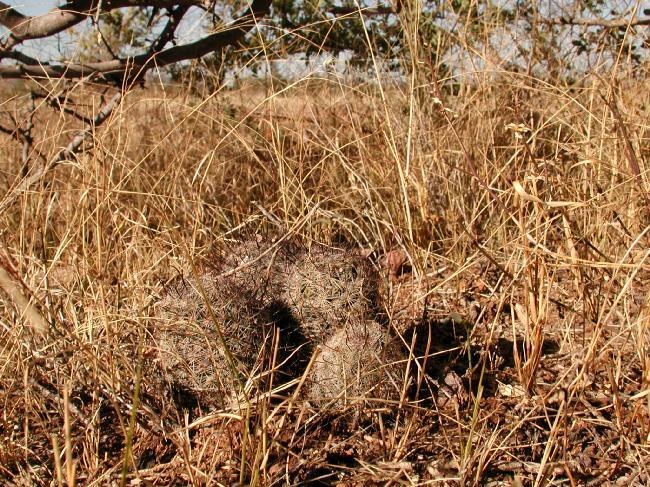 Speaking of pictures, Kauderwelsch do you by any chance have any habitat pictures of Mammillaria grahamii that you would be willing to share? I used to have some, but two of my hard drives just crashed all of the sudden two years ago and guess what... :(:( no backup! It was taken during a trip to Sonora/Arizona some years ago. The place is in the outskirts of a village called Santa Ana, some 40 mins. drive south of the border. 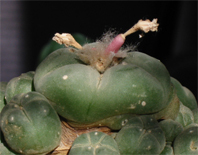 It was growing close to some 60 cm high seedlings of C.gigantea and probably Pachycereus schottii. 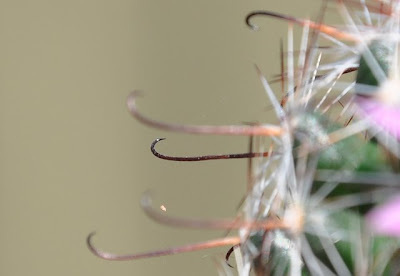 Ah, I didn't notice the link - nice photo and as you said the spination is much denser than on my plants. Hope they develop a similar look with time. 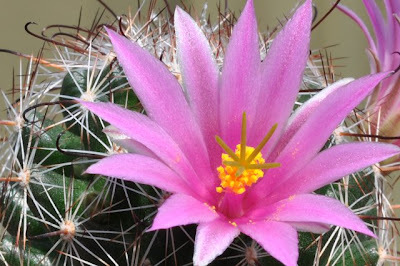 Mammillaria grahamii is considered to be one of the "Lost Peyotes". It may be psychoactive and was likely used by Native Americans for medicinal or inebriating purposes.